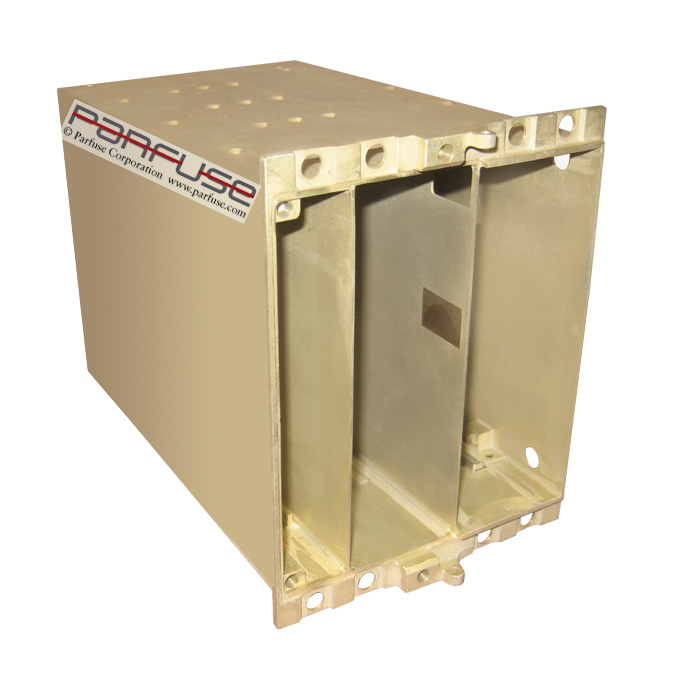 Power supply chassis for avionic application. 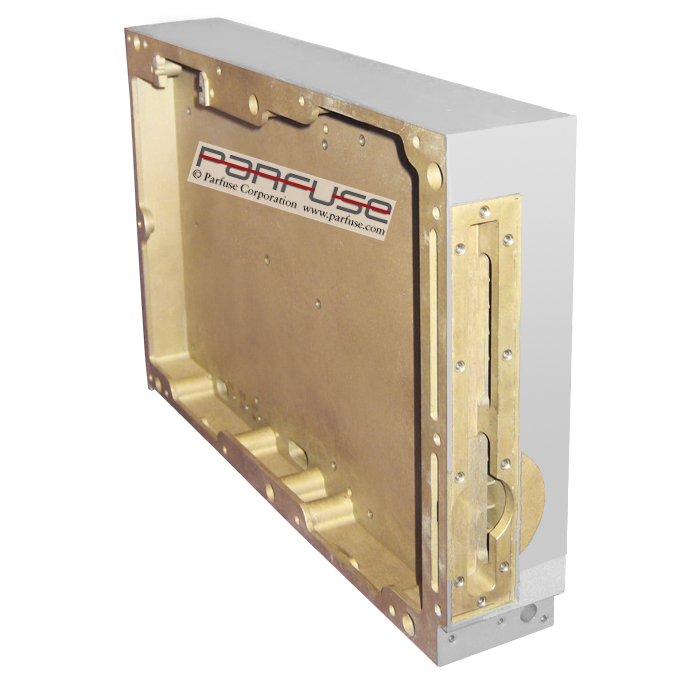 Machined and dip brazed to perfection due to Parfuse's expertise. Squareness and flatnesses are critical on this component. Seal tight avionic chassis, machined and card guide installed. 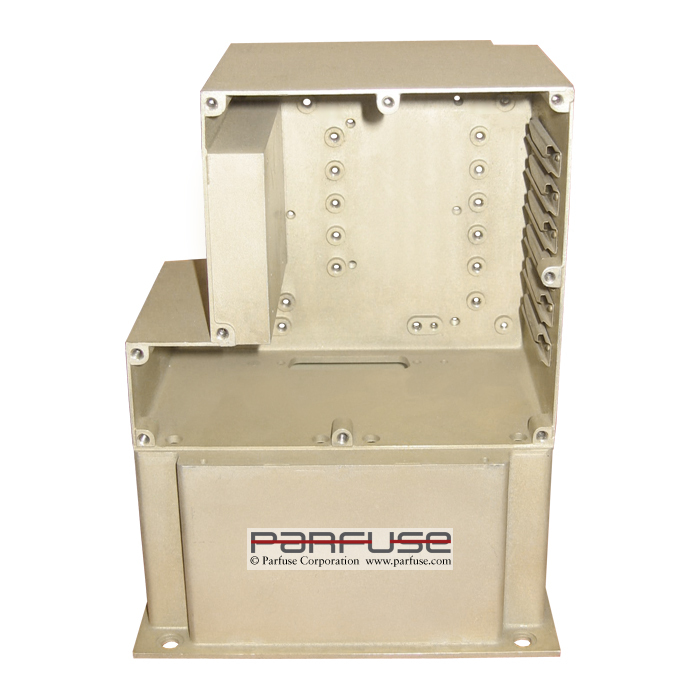 Square, flat and pressure tight as a typical component running through Parfuse's dip brazing process. Airborne avionic chassis with pitot and static parts. Slotted card guides are internal with no braze build up in guides. 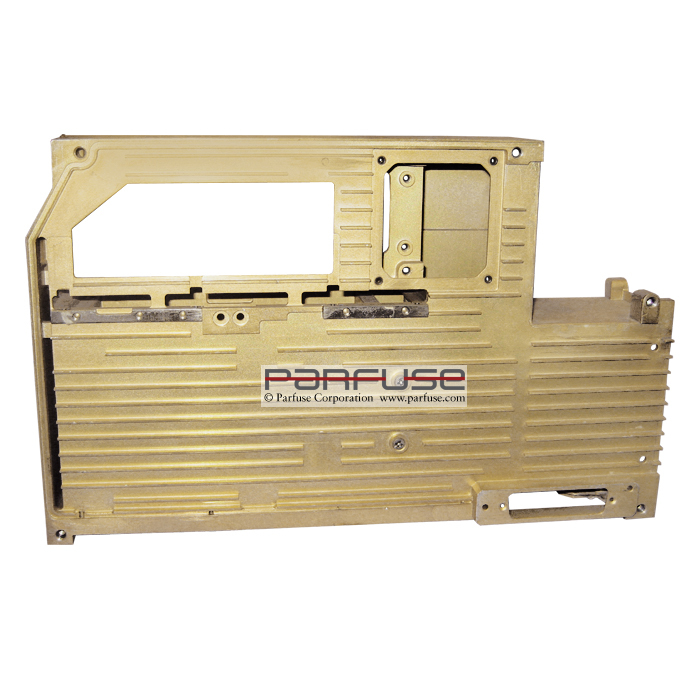 EMI/RFI shielded leak tight avionic chassis with all dimensions, squareness and parallelism held. Notice contour of braze from flange to housing. DTV housing used in aircraft fully machined and flatnesses and dimensions held at dip braze process. 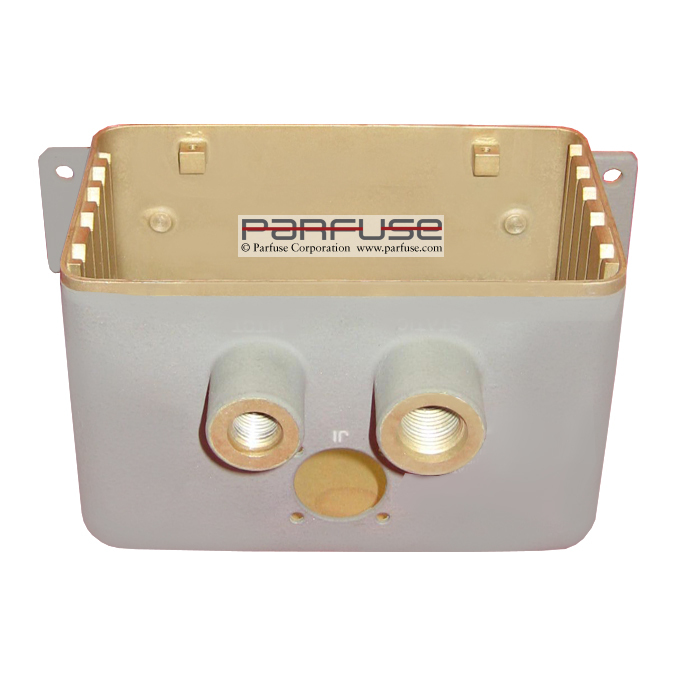 1000's and 1000's have been brazed at Parfuse with success throughout the years. 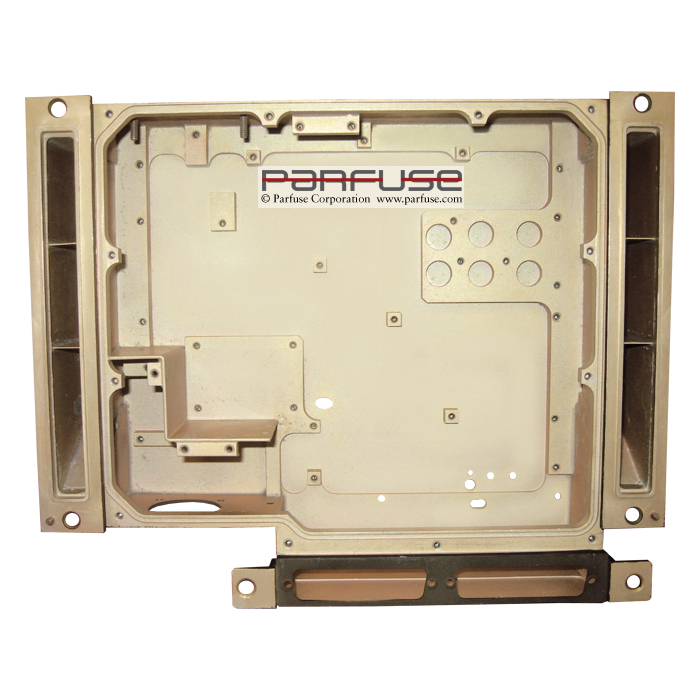 Avionic chassis with side flanges machined features and corrugated fin on opposite side, pressure tight, "0" ring grooved to accept cover. Aircraft machined power supply chassis with fins brazed internally flatnesses at "Rock N Roll" are extremely important. 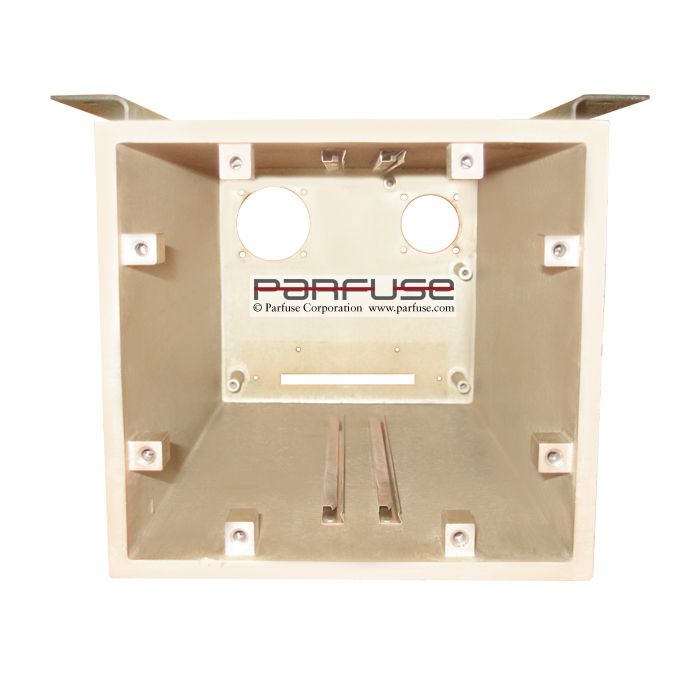 At Parfuse, this is a normal application for dip brazing.